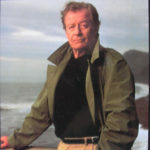 James Clavell was an Australian-born British novelist, screenwriter, director, and World War II veteran and prisoner of war. Clavell is best known as a writer for his The Asian Saga series of novels and their televised adaptations. "God gives us intelligence to uncover the wonders of nature. Without the gift, nothing is possible."